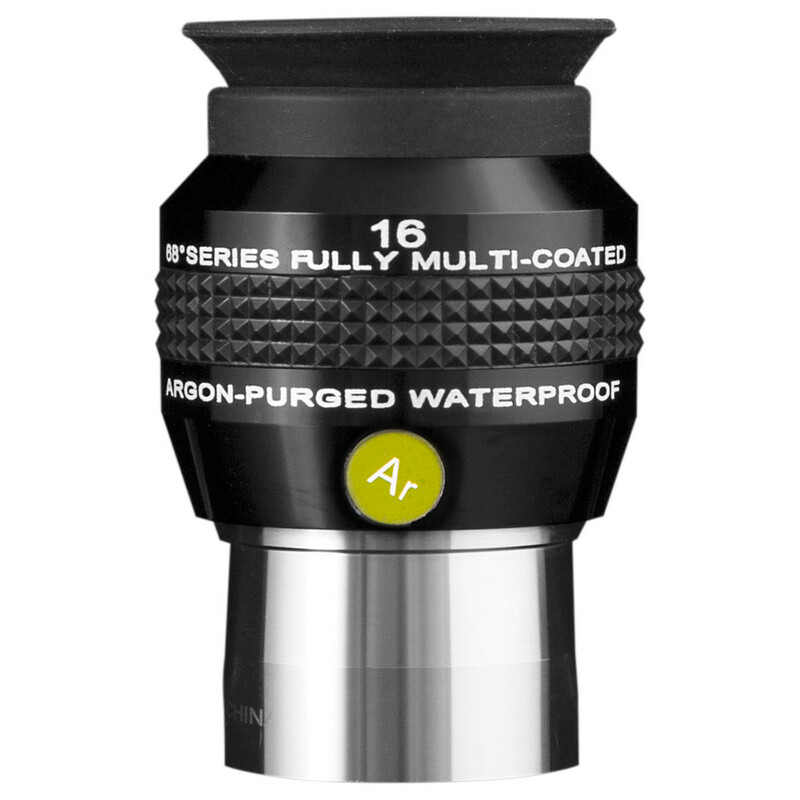 Using advanced computer design, combinations of low dispersion and high refractive index optical glasses, and durable multilayer deposition coatings, Explore Scientific 68° Series Argon-Purged Waterproof extreme wide field eyepieces are optimized to produce high contrast, high resolution, and superior flat field characteristics. The visual effect of these eyepieces with their long eye-relief and their 68° apparent field is truly a full-immersion experience. The 68° Series eyepieces come with a removable and foldable soft silicone rubber eyecup for the comfort of the observer, and as experienced astronomers know, eye comfort is critical when trying to observe at the visual limits of the telescope.